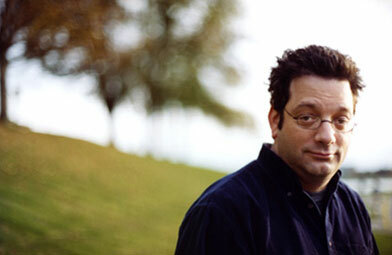 www.jesterjournal.com JFL festival coverage: Andy Kindler "State of the Industry"
Veteran stand-up gives his (scattered) comedic critique of the hands that feed him. Andy Kindler’s vaunted “State of the Industry” speech, which he gives every year to a private audience of Just For Laughs Montreal Comedy Conference attendees -- to remove the mystery surrounding it -- is something of a scattershot mix of his own stand-up and transgressive criticism of the more popular or mainstream performers or phenomenon in comedy and television. Dane Cook is a favorite target of Kindler’s, and he couldn’t resist a few more pokes at Cook. I still think this comes off like jealousy, but it’s just my opinion. Kindler definitely had other little bits of comedy and media criticism that scored, such as comments on the obscene amounts of money being made by the likes of Howie Mandel, Ryan Seacrest and Tyler Perry; plans by the Farrelly brothers to make a Three Stooges movie -- “Is there really anything the Stooges left unsaid?” asked Kindler; and digs at entertainment industry agents and agencies. Other portions of the hour-plus-long performance fell flat, admittedly perhaps because the audience was skewed toward industry “heard it all before” types, a fact of which Kindler seemed well aware, mocking it and himself along the way. “I love when I get awkward silence as a reaction,” he said. At other times, he observed when he had strayed off the critique to other topics, alluding to how some might react to his speech and the hype about it: “‘What does that have to do with the industry?’” he hypothesized a possible reaction. Oddly enough, for a performance only done once a year, Kindler’s “State of the Industry” doesn’t really seem to have a planned narrative or driving theme to it. It’s a collection of ADD-addled observations strung together in no particular order, a few of which do really hit home. A lot of it, like other regular performances of Kindler’s, finds him trying to milk being self-effacing about weak material that isn’t getting much reaction. The emperor may indeed have no clothes, or maybe just a pair of very unflattering Speedos. Eric & LaNita Hazard; Irving & Sonya Rozansky.